So a couple things. 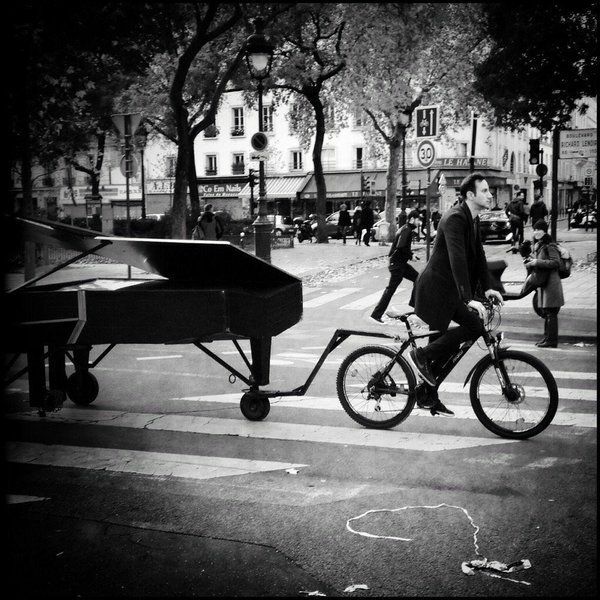 The guy in the photo above--pianist David Martello--drags his piano by bike to central Paris to play for free on the night of the bombings. He apparently is known for visiting conflict zones to play his piano. One of the songs he chose to play on this evening was, Imagine, by John Lennon. I have always found this song particularly moving, tear jerking at times. To see John Lennon see the original version, click here. David Martello can be seen and listened to playing his beautiful and moving rendition below. If you'd like to see other videos of him playing his piano outside (some of them in conflict zones), click here. And oh yes, in the event I forgot to mention it, David pulls his piano by bike.